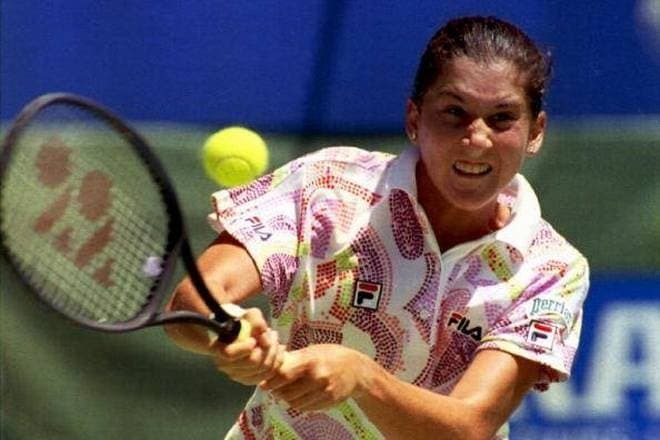 Monica Seles is one of the most popular tennis players who performed for the United States and Yugoslavia. 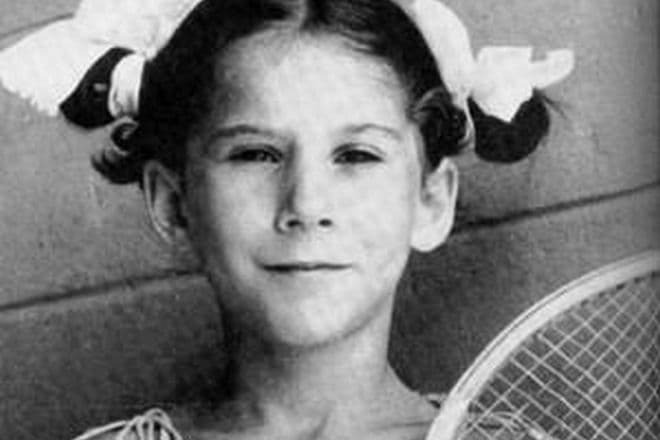 She played in the Grand Slam tournaments, participated in the Olympic Games, and won many awards and titles. Monica was born in winter 1973 in Novi Sad, southern Serbia. Her parents were Hungarian. The mother, Ester, worked as a programmer; the father, Karolj, was a cartoonist. The girl was the second child in the family: she had an older brother Zoltán. When Monica was six, the father started teaching his daughter how to play tennis. The family was not wealthy, and the parents could not afford classes with a professional coach. The father put every effort into teaching Monica the basic principles of tennis. The girl trained at the ground behind the house; the father strung a rope instead of a net. Monica proved to be a talented student who mastered her skills without a professional teacher. Thanks to her long, hard work, she managed to win the Yugoslavian junior championship at the age of nine; she competed against 12-year-old opponents. The next year, the girl won the championship again. At 12, Monica became the Yugoslavian athlete of the year. The next year, the Seles moved to Florida, US. Monica participated in the children’s tournament. She was to return with her family after the tournament, but Nick Bolletieri noticed the talented youth. At that moment, he was a famous coach who had brought up many tennis stars. The man offered Seles to enter his own Academy. For this reason, the family had to settle in America. Despite the financial troubles, the Seles did that. The girl’s father contributed to his daughter’s professional development much, and he would not forgive himself if he missed that opportunity. At 14, Monica won her first significant victory. In 1988, she participated in the professional tournament and demonstrated excellent results: she became number one in her age group. The young woman was polishing her skills and entered the world of big tennis the next year. Soon, more sports triumphs followed. 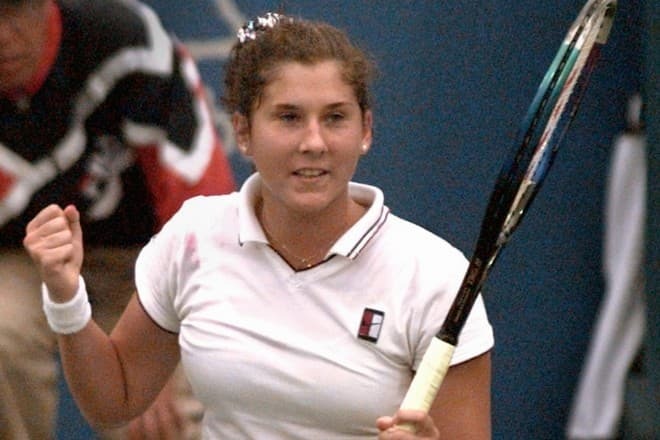 Monica Seles trained from an early age and showed wonderful playing when she was a teenager. In 1990, when the athlete was 16, she took part in Roland-Garros and faced the German tennis player Steffi Graf who had been the Grand Slam winner and was named the 1988 best athlete of the world. Monica managed to defeat the strong opponent. In a while, Seles played against Chris Evert and also won. Although Evert gained revenge in the US Open later, Monica’s career start was excellent. Soon, the athlete participated in the French Open. Steffi Graf defeated her in the semi-final game, but Seles still became number six in the world’s tennis rating. Although the player was victorious, she had to say goodbye to her coach who had been working with her from the beginning. Bolletieri had little time for Monica as he was coaching other trainees. The next year started with several losses in Washington, Chicago, and Boca Raton. Finally, Seles pulled together and gained several glorious victories in America and Key Biscayne tournament; later, she defeated Steffi Graf in German Open Hamburg. To maintain the proper level of playing, Monica had to work hard. She felt tired but did not give up: she kept gaining new prizes. 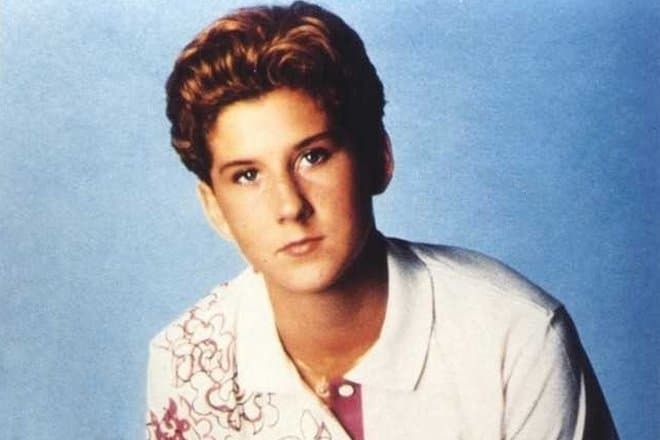 In 1991-1992, Monica Seles’s results were good. She managed to surpass Steffi Graf in performance and become the number one player. The woman won six Grand Slam tournaments; she received 22 titles before 1993. In spring 1993, there was a turning point in the tennis player’s career. It happened in Hamburg. As the game was going on, it was evident that Monica was winning over Magdalena Maleeva. Still, Seles did not succeed at that time. When the athletes switched, an unknown man from the front row attacked Monica: he hit her with a knife once; the woman’s bodyguard and brother captured the attacker. Monica was hospitalized; fortunately, the injury was not life-threatening. Seles recovered soon. The incident turned out to be shocking for her: she could not appear at the court for a long time. The man who assaulted the athlete was found insane and sent for forced medical treatment. Seles’s relatives were not satisfied with the court decision but did not appeal against the sentence. Monica stopped playing tennis for two years because she was afraid of new attacks. Fans were happy to see the athlete come back. Monica made the decision thanks to her father’s support, her consulting physician’s recommendations, and the meeting with Muhammad Ali. The famous boxer was struggling against his disease and found the necessary words to persuade Seles to return to the sport. After the long break, the tennis player appeared at Canada Masters and defeated Amanda Coetzer. The next month, she had a game against Graf and lost. At the beginning of 1996, Monica won a victory at the Australian Open. It was the last Grand Slam achievement. The tennis player’s father fell ill and died several months later. It was a severe blow for Monica. Further on, Seles had no triumphant victories. In 2003, she injured her foot and did not participate in a match in Rome. In a while, she stopped taking part in large tournaments and announced the end of her career in 2008. 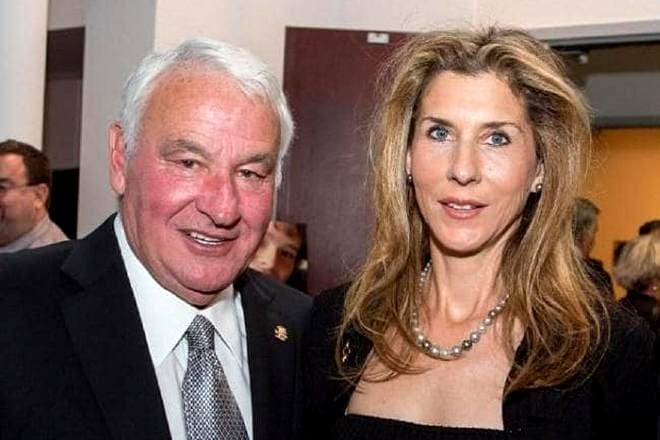 Soon after the athlete finished her career, the media spread the rumors that Monica Seles was secretly dating the American billionaire Tom Golisano. Reporters tried to figure out if that was true, but neither Tom nor Monica gave comments on their personal life for a long time. In 2014, 72-year-old Golisano announced the engagement; the couple married soon. Monica is 32 years younger than her husband. Before the marriage, Tom ran for the position of the New York Governor three times. However, when the tax for millionaires was introduced in the state, the man moved to Florida. Monica sold her house, and the couple began to live together. When Monica ended her career, she started studying Hatha yoga. The teaching about physical harmony transformed the woman and helped her shed some unwanted pounds. 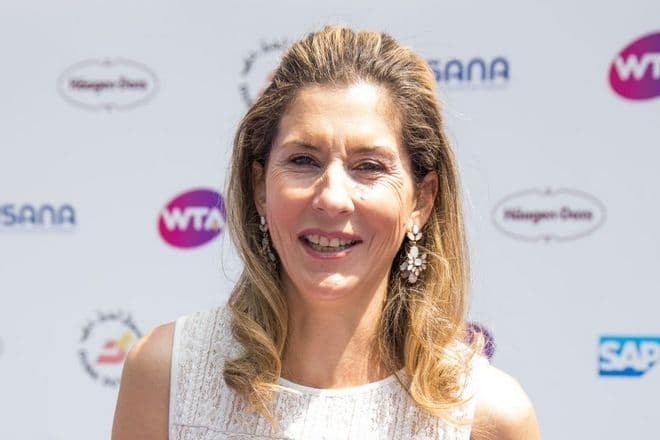 In 2009, Monica Seles wrote an autobiography. She paid much attention to losing weight and the period after the man’s attack. Today, the ex-tennis player leads an active social life: she is present at many events, does charity work, and visits animal shelters. The woman has no Instagram but posts personal photos and news on her Twitter page. Sometimes, the former athlete is invited to shows. Monica also appears in documentary movies about tennis. In 2018, the movie The Immortals came out; it told the story of the athlete’s sports career.